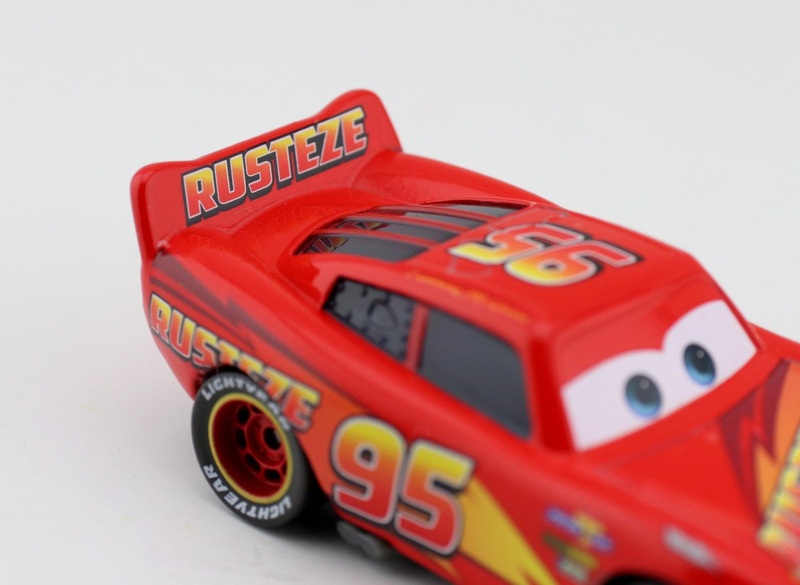 Just when you thought there couldn't be anymore Lightning McQueen diecast releases, along comes this one—"Rust-Eze Lightning McQueen", one of the more recent Cars 3 Mattel 1:55 scale diecasts to hit shelves. Though technically this starting hitting a few months back, I only just found it in my area a week or so ago at Walmart. Finally! As shown in the screenshot above, this is the way McQueen looks from the film's opening scene all the way through his epic crash. The main difference with this paint job, compared to his classic look, is the way Rust-Eze is printed in bold lettering across his hood, sides, back and rear spoiler. It definitely gives off a more modern, updated vibe! 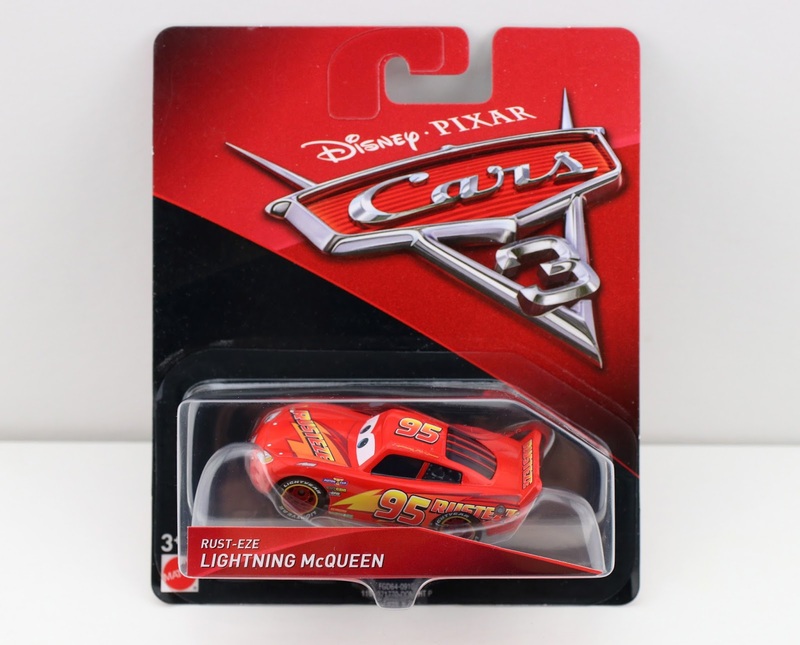 Note: This one isn't to be confused with "Cars 3 Lightning McQueen", which has been available since the initial launch of this collection last May. Be sure to check your local Walmart, Target and Toys R Us for availability! 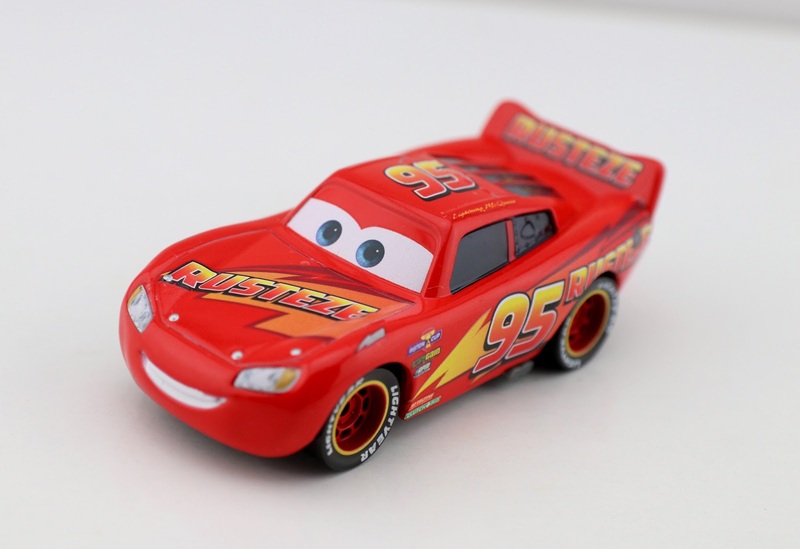 If you're having trouble finding this McQueen in your area, Amazon has him in stock currently (prime) for only $5.89. It doesn't get too much better than that! I've included the direct link to that listing below.